Origin Of Spanish/Other Name: ? Origin Of Street Name: Is this Baker as in profession or as Surname? 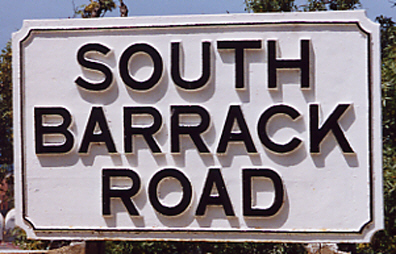 Origin Of Street Name: It is not known why this is named so – there was a barracks at one time. Were they particularly noisy and quarrelsome or has there been a lunatic asylum here at any time? 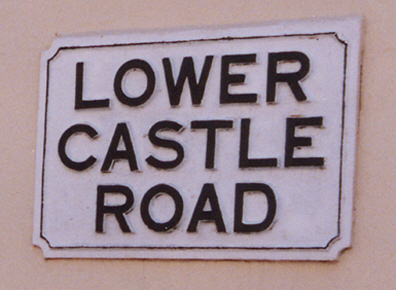 Origin Of Street Name: This was called Belle lane in an old water colour – was it the home of a ‘Belle’ of her day? Origin Of Spanish/Other Name: Was Benzimra ‘el Moro’ or are these two different people? Origin Of Street Name: Bleak House was residence of Garrison ?/? 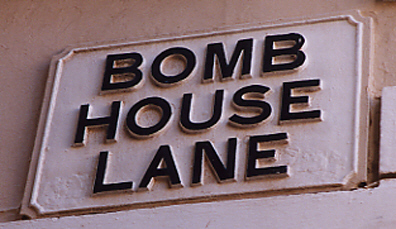 Origin Of Street Name: The English name is derived from bomb house, this was the residence of the Chief Ordnance Keeper. Origin Of Spanish/Other Name: Boschetti was a builder – was he perhaps someone’s Tio Pepe also? 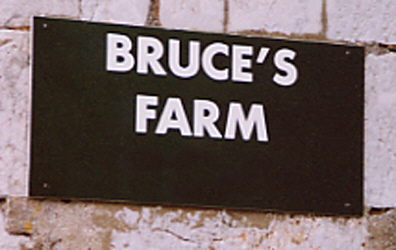 Origin Of Street Name: Leads to upper rock – to Bruce’s Farm perhaps? 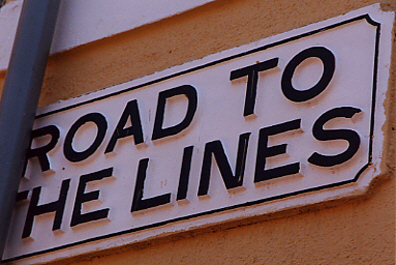 Origin Of Street Name: The English name used to be Artillery Lane, as the Commander, Royal Artillery lived there. A short step from artillery to Cannon! 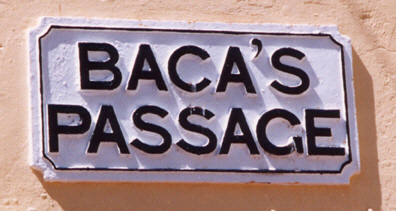 Origin Of Street Name: Was this another of gibraltar’s merchants/traders? 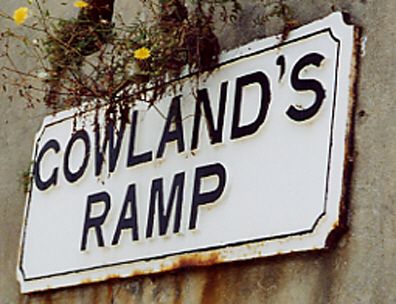 Origin Of Street Name: The English name because of the casemates built round it, originally called The Esplanade. Origin Of Spanish/Other Name: The Spanish name is not a sarcastic comment on the fact that this a flight of steps, but refers to a Playhouse that used to exist there. Comedia in Spanish is any type of play. Origin Of Street Name: Chicardo came to Gibraltar from Portugal with the news of the Spanish plan to attack with floating batteries during the Great Siege. Origin Of Street Name: This used to be Whirligig Lane, where the whirligig was a device for punishing unruly Services wives. Was the usual punishment seven turns of the whirligig and did this give it its Spanish name? Origin Of Spanish/Other Name: Was the usual punishment seven turns of the whirligig and did this give it its Spanish name? 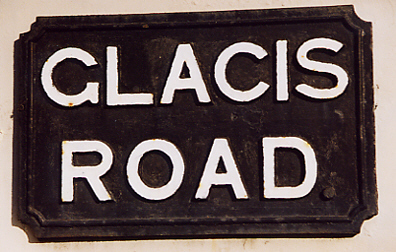 Origin Of Street Name: Cloisters belonging to the monastery known as the White Cloisters that used to be there. 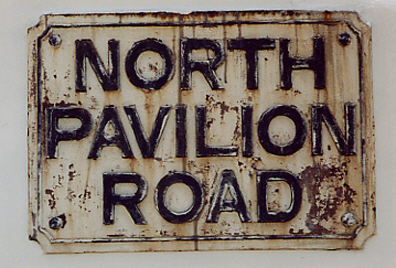 Spanish name – were there perhaps public baths owned by Scotto? 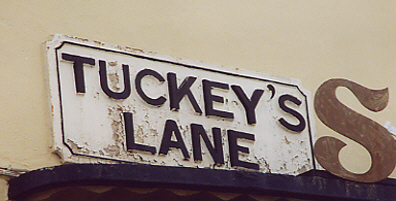 Origin Of Street Name: There was a School there in 19 C, before then, this was called Jenkins Lane after a naval victualler who lived there. Origin Of Street Name: (Crooked Billet Place in 18th Century) At one time a monastery (convento is the Spanish name for a monastery or convent). Was also used as a billet for British officers in 1704/5. 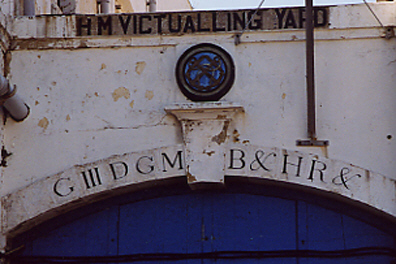 Origin Of Street Name: English name derived from Navy yard making/repairing barrels for storing water in ships. Origin Of Spanish/Other Name: La Barcina derives from the basket holding Count de Niebla’s corpse for approx. 12 years. 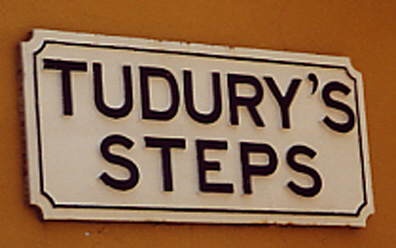 Origin Of Street Name: The church of San Juan Letran was on this lane. Used to be Green Market Lane, because it led to the Green (Vegetable) market. 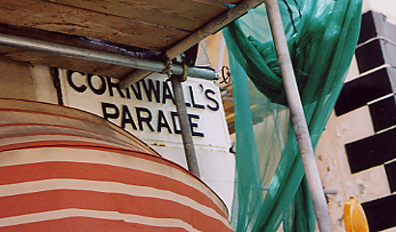 Changed to Present name when Green Market became Cornwall’s Parade, as Duke of Cornwall’s regiment paraded there. 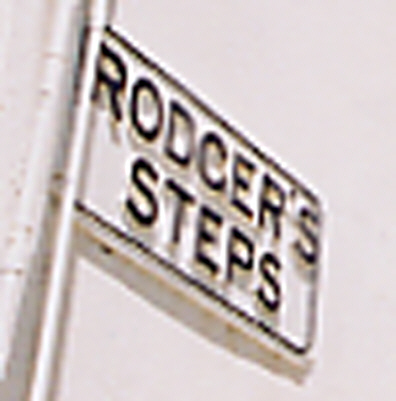 Origin Of Street Name: Duke of Cumberland ? 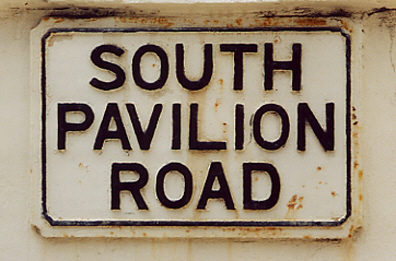 Origin Of Street Name: After a Governor of Gibraltar recently renamed as was known as Governor’s Cottage road. 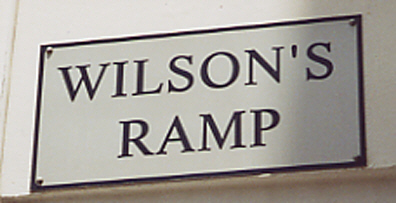 Origin Of Street Name: The Commander of the Royal Engineers had his house there. The old name of Calle del Gobernador fell into disuse after 1704, as did the Spanish governor of course. He had had a garden where the present Garrison Library is. 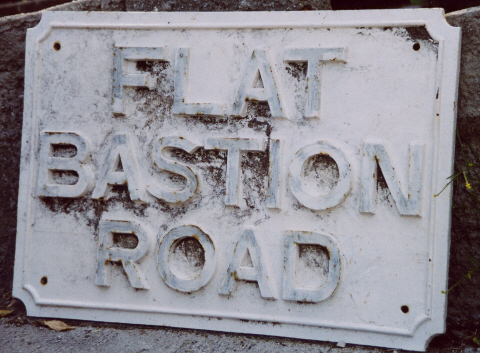 Origin Of Street Name: English name after the bastion built there, Spanish name semi-corruption of Mr Bourne who had a forge there. Origin Of Spanish/Other Name: Spanish name refers to the vicarage of St Mary The Crowned which used to be in that lane. Origin Of Street Name: Artillery regiment quartered here at one time. Origin Of Spanish/Other Name: Perhaps refers to the cordoneros tied round penitents robes, as penitentes would gather there before procession at Easter. Origin Of Street Name: This is one of the military tunnels inside the rock. Unlikely that there would be a Spanish name as civilians not allowed in until very recently. 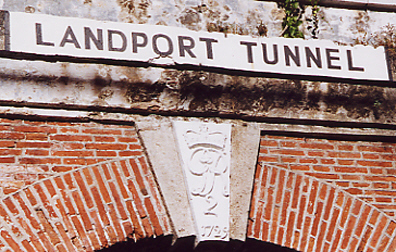 Origin Of Street Name: No Spanish name – as this again is part of the military tunnel network. 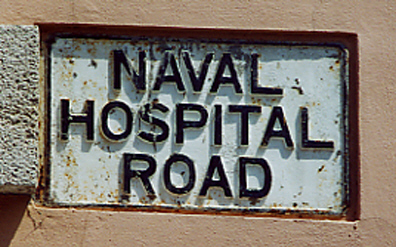 Origin Of Street Name: Not a Street but a House – residence of naval officers in charge of victualling yard. 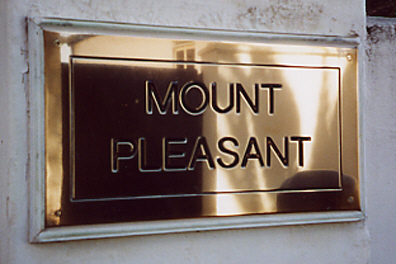 Origin Of Street Name: There is no record of a mounted cavalry regiment in Gibraltar, so possibly the horses are the officers mounts or horses/mules used for haulage. Origin Of Spanish/Other Name: The Spanish name is from a chapel/the Police Station that used to be at either end of the street. Origin Of Spanish/Other Name: This area of central importance has had various names. El Martillo refers to an auctioneer’s hammer as Auctions were held here in the 18 C.
Origin Of Street Name: This V.C holder died at the convent whilst visiting the governor, in 1811. but why name a street after him? 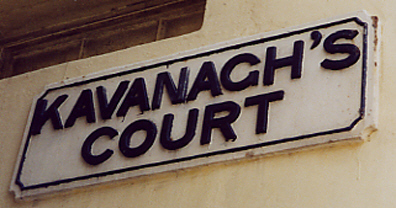 Origin Of Spanish/Other Name: The Spanish name refers to a fives court which used to be there. 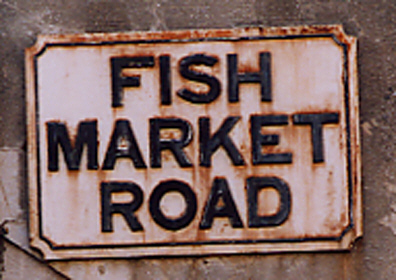 Origin Of Street Name: This lane used to lead to a market, therefore market lane. Possibly to a butchers’ shambles so explaining the Spanish name? 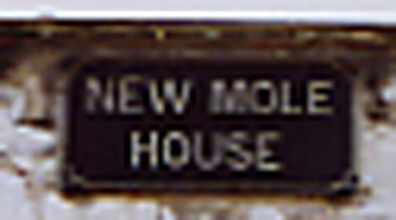 Origin Of Street Name: Opposite the ‘new’ mole and now Gibraltar police station. Origin Of Spanish/Other Name: Spanish name reflects the inhabitants many centuries ago were ladies of the night. 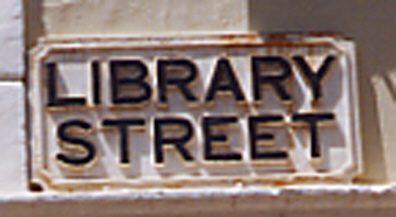 Origin Of Street Name: Site of the freemasons meeting hall. A fair reflection of real politics in both languages? 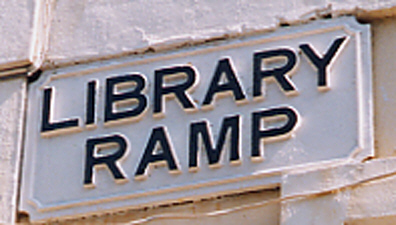 Origin Of Spanish/Other Name: Site of the freemasons meeting hall. A fair reflection of real politics in both languages? 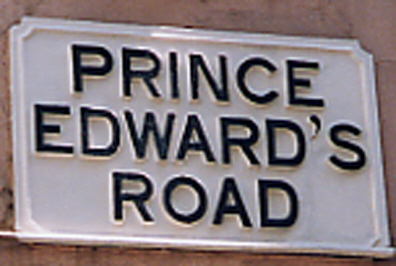 Origin Of Street Name: Prince Edward of 18th Century. Origin Of Spanish/Other Name: Sandunga in Spanish is chiste, joke, S.Amer, zambra/jolgorio a party, a festival. Could this be a place where people gathered to talk, joke, dance? 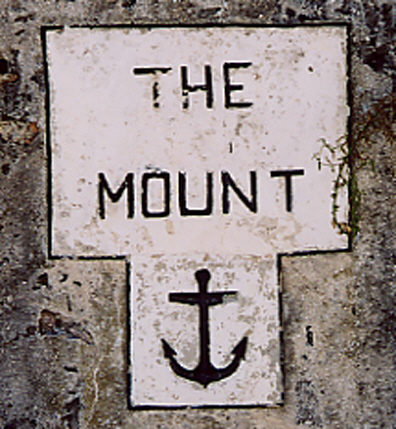 Origin Of Street Name: The Navy used to fill & load water barrels here for the small boats to carry out to ships. Ragged Staff is the nautical term for the stump mast on these boats which was used to hoist the water casks in & out. 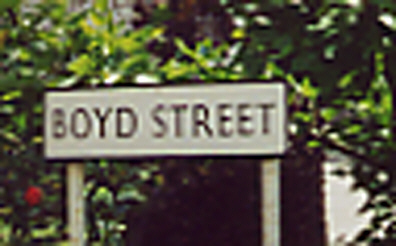 Origin Of Street Name: English name refers to the red sandy soil. 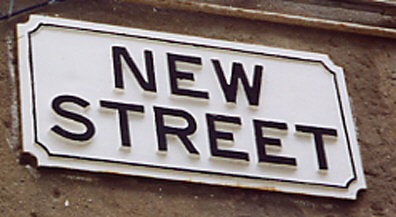 Origin Of Street Name: Both descriptive names – the English concentrating on where the lane goes, the Spanish on the fact that sun is blocked out by the narrowness of the lane and the buildings around. 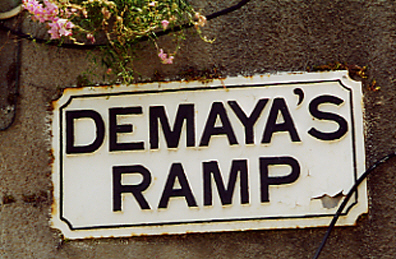 Origin Of Spanish/Other Name: Both descriptive names – the English concentrating on where the lane goes, the Spanish on the fact that sun is blocked out by the narrowness of the lane and the buildings around. 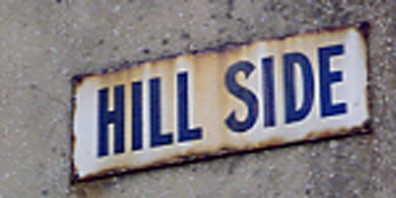 Origin Of Street Name: Scud is an English word for a sudden gust of wind – very appropriate for this hill! Sailors used to use a pub there. 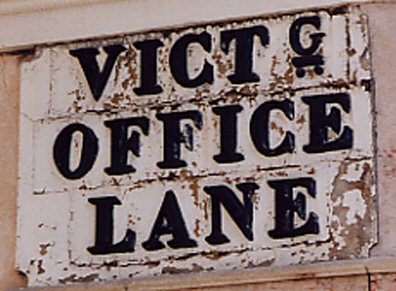 Origin Of Street Name: The offices of the Secretary for the Colony have been here for centuries. Origin Of Spanish/Other Name: Does Bobadilla refer to a person or to the town of Bobadilla in Andalucia? El bobadilla was also a bus that ran up the coast – did it start or were there offices here? 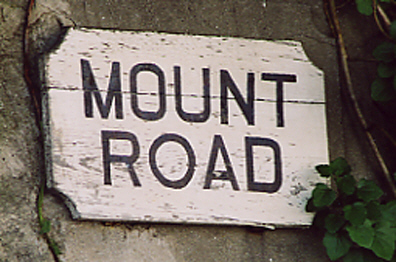 Origin Of Street Name: English name purely descriptive – this road led to a signal station. 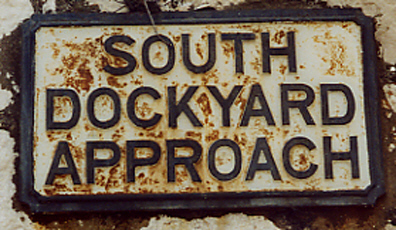 Origin Of Street Name: Name taken from the barracks location – south of the town. 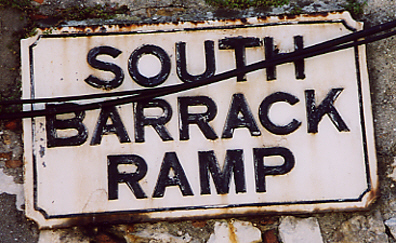 Origin Of Street Name: Doubt there were ever military tanks in Gibraltar. Does it refer to tanks as for holding water? 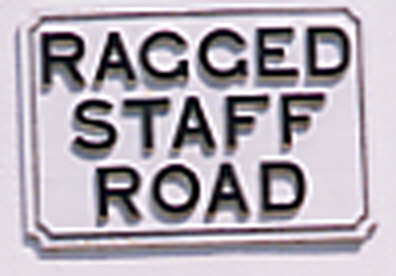 Origin Of Street Name: Used to be New Barracks Street for the grand new barracks built @ 1740, then changed to Town Range. The Spanish name remains faithful to the original. 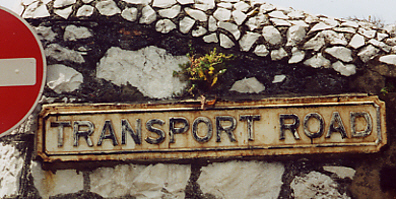 Origin Of Street Name: Named after the cemetery which, however, has only two of the dead from the Battle of Trafalgar. Most would have been buried at sea. 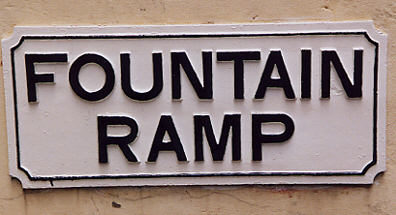 Origin Of Street Name: Military transport depot ??? 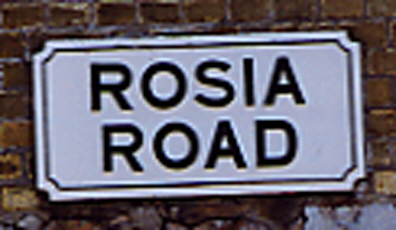 Origin Of Street Name: The English name is self-explanatory but the Spanish name a mystery. Origin Of Spanish/Other Name: Parsley is rich in vitamin C – did the victuallers know this and buy it for the ships? Did Spanish growers bring it here? 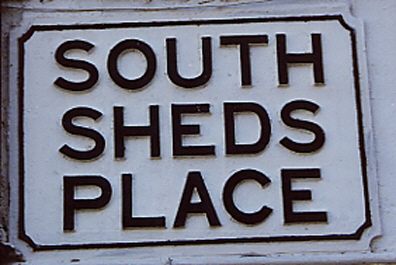 Origin Of Street Name: The yard is well removed from the office of course. 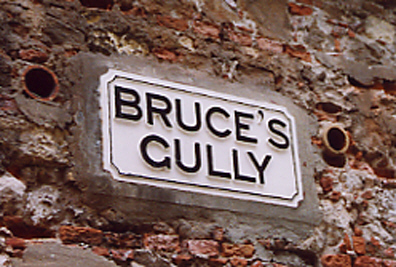 Origin Of Street Name: A particularly energetic and committed gunner of the battery at that location during Great Siege.